Previously a Member of a respected and highly successful progressive HR Consultancy with an emphasis on union recognition and the development of productive individual and collective relationships. Provide specialist services in the areas of Employment Relations, Human Capital Development, and Change and turnaround management. Develop and implement HR policy and operational procedure manuals for organisations ranging in size from Corporate to owner operators. Successfully negotiate and settle industry wide disputes and agreements. Represent clients in employment disputes, mediations, arbitrations, strikes and lockouts. Expert conflict resolution, mediation and turnaround specialist. Appointed as mediator by the National Peace Secretariat tasked with conflict resolution Mike was paired with Dr Lusaka Lusaka (ex chair UN Security council). He worked on mediating violence and disputes between the political parties, voters and bus and taxi operators in the transport industry. Managed and developed over 50 of his own staff on an 118ha vineyard. Lectured Business Start-up, Management and Administration for the NZTE Enterprise Allowance scheme. Guest lecturer in Human Resource Development at the Business Department at AUT. Lecture Change Management on the MBA programme at AUT. Works as a Business Consultant, Strategist, HR Advisor and Mentor to a number of businesses across NZ. 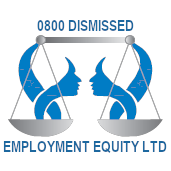 I am an employment law specialist and have had 25 years of experience in employment law litigation. I have learned that employment disputes need to be resolved efficiently and where possible by preserving the employment relationship. In doing so I have developed skills in avoiding employment conflicts in the first place or where this has occurred, in resolving them by discussion, negotiation or ultimately litigation. Fortunately New Zealand has a well developed system for resolving employment disputes primarily through mediation or thereafter to the Employment Relations Authority. In mediation I adopt a pragmatic approach which will enable my clients to achieve a settlement that will end the dispute with their dignity intact. Should the matter proceed to the Authority, a more litigious approach is required. In my practice I have had to appear both for and against large corporate enterprises and have represented many individuals who have been unfairly dismissed. This experience has assisted me in preparing policies and procedures for employers in the engagement and management of their employees. It has also enabled me to assist employees where employers may not have followed accepted fair labour practices. I have had to deal with collective bargaining and negotiating wages and employment benefits and have also had to deal with disputes resulting in strikes or lockouts. These experiences have taught me the value of achieving a fair deal for both employer and employee as the employment relationship is an enduring one and is of vital importance to the survival of both employer and employee. For recreation – I sail (no longer competitively, just for pleasure! ), and keep fit by cycling and rowing. Money should be through Dave , thank you for all your help!! Thanks so much Mike, for your help and support. It was certainly reassuring to know someone was willing to stick up for him, besides me. S… checked her bank account and the money went in on Friday so all good. She and myself would like to thank you for getting this result for her and I will recommend you to other people if they have a similar problem. I just want to say thank you again for your input and time on Wednesday, Im glad you put them in their place and that we got a reasonable outcome. It would have been nice to have walked out with a few $’s but hey at least I didn’t leave with less $’s. Think I got more satisfaction by seeing ………. shake in his boots..
Ill definitely recommend your business and services to more people. Thanks again for all your help. In the end I found it all a thoroughly pleasant afternoon, due not only to your calm and competent manner and expertise, but also to the interesting and diverse conversation. Very much appreciated at a time that could otherwise have been most stressful.